These affordably priced headphones come with a fully enclosed design that ensures excellent noise-isolation and powerful bass reproduction. Three types of ear tips are included for a secure and comfortable fit. 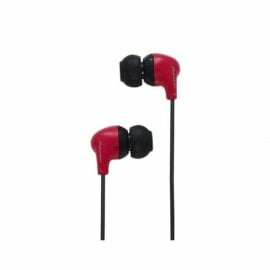 These earphones are available in Black, White, Blue, Green, Red, Pink and Orange.